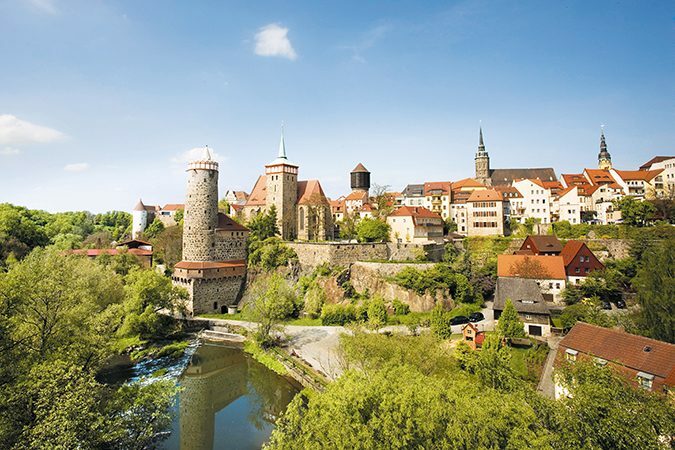 The old town of Bautzen offers a spectacular sight: the upper town sits on a massive granite rock while the buildings of the lower town nestle up to the bend of the Spree River which is on its way to Berlin. The silhouette of the upper town is dominated by a large number of towers. The Reichenturm tower is more crooked than the famous Tower of Pisa. The Alte Wasserkunst tower was used to pump water from the river to the heights of the upper town. The ancient mechanism is still functional and can be seen in action. Another tower belongs to Bautzen Cathedral which amazingly has been shared by Catholics and Protestants since Reformation. Before Saxony was colonized by the Germans starting in the 10th century, Slavic tribes lived in the area. 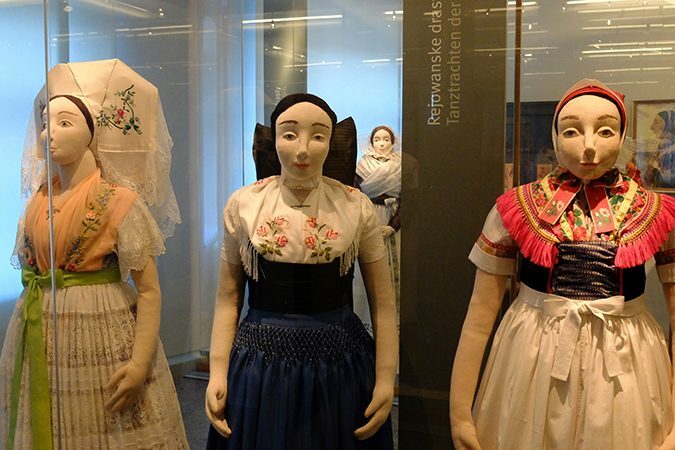 While they were assimilated elsewhere, around Bautzen the so-called Sorbs were able to preserve their own language and culture. So in Bautzen, their unofficial capital, everything is bi-lingual. 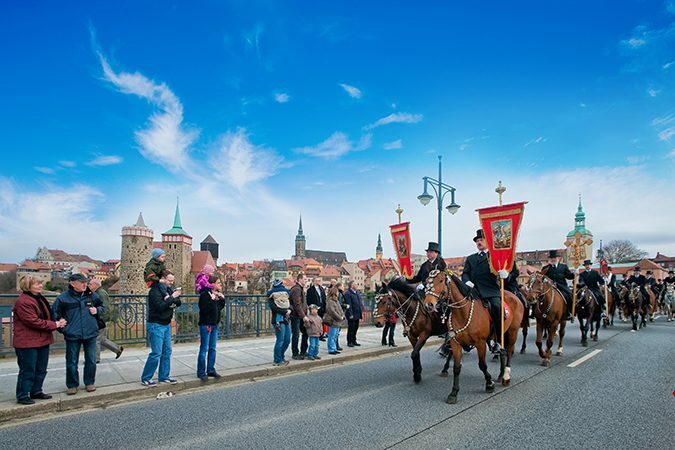 Apart from visiting the Sorbian museum at Bautzen’s Ortenburg Castle, it is interesting to participate in the Sorbian traditions, especially around Easter, or to sample Sorbian-style food. What would German sausages be without mustard? 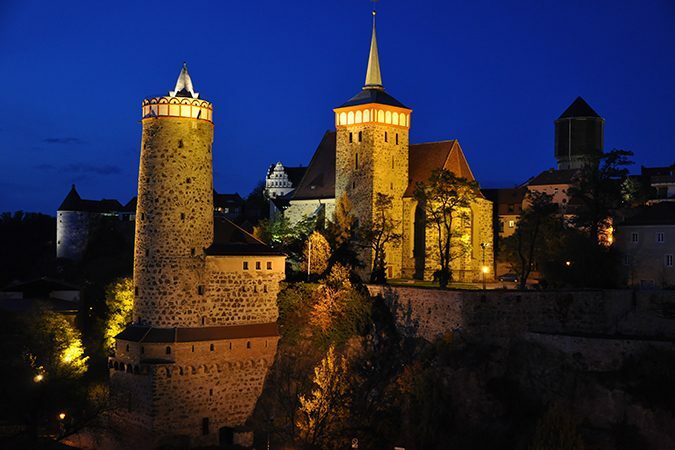 Since the middle of the 19th century, the spicy paste has been made in Bautzen. “Bautz’ner” is the market leader in Germany, a real East German success story. 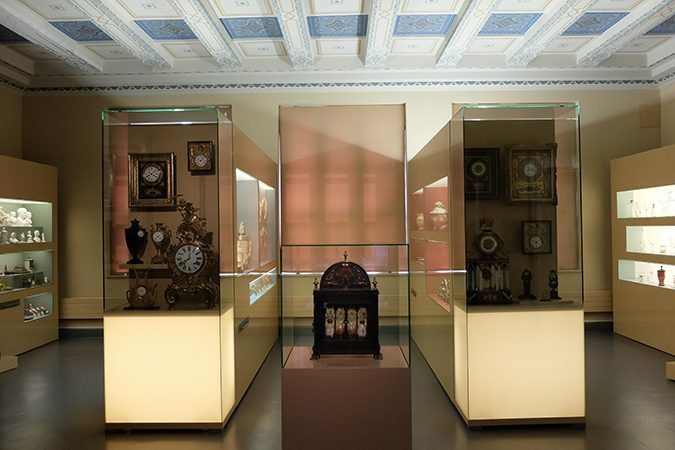 The popular products can be sampled at the Bautzen Mustard Museum near Bautzen Cathedral. A large number of dishes made with mustard are offered by the nearby “First Bautzen Mustard Restaurant”.